Life and Death Contrasted... or, An Essay on Woman. Hand-colored woodcut engraving, ca. 1770. Cover Image from Horn, Jennifer Van. 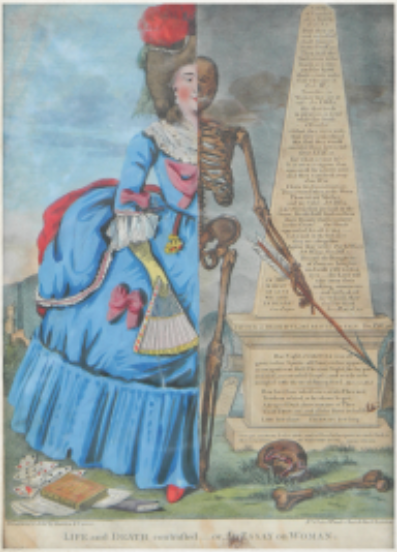 The Power of Objects in Eighteenth-Century British America. Chapel Hill, NC: University of North Carolina Press, 2017. Valentine Green, “ Life and Death Contrasted... or, An Essay on Woman. Hand-colored woodcut engraving, ca. 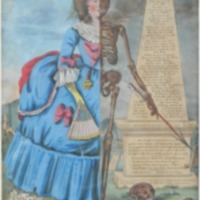 1770.,” DelaWARES.org, accessed April 23, 2019, http://delawares.org/items/show/203.